Historically, brown adipose tissue has been elusive and not easy to detect, hence its relative obscurity in human physiology until its rediscovery in 2009. At that point, it was proven that the symmetrical artefacts frequently detected on positron emission tomography-computed tomography (PET-CT), which resolved if the environment was kept warm, were brown adipose tissue deposits. PET-CT has remained the stalwart of human brown adipose tissue research and is still considered the gold standard. However, PET-CT exposes the participant to ionising radiation, limiting studies to large, but retrospective, review of clinical imaging or a small-scale, but prospective, design. Within this context, alternative imaging modalities have been sought. Due to the heat-generating properties of brown adipose tissue, infrared thermography is a natural candidate for measuring its activity and the supraclavicular depot is relatively superficial, allowing detection of the heat signature. Infrared thermography is a non-invasive, non-contact technique for measuring temperature remotely. 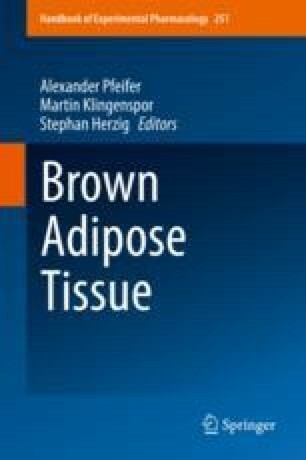 Recent developments in image analysis techniques have facilitated the use of infrared thermography to study brown adipose tissue activation in populations, and in ways, not previously feasible.